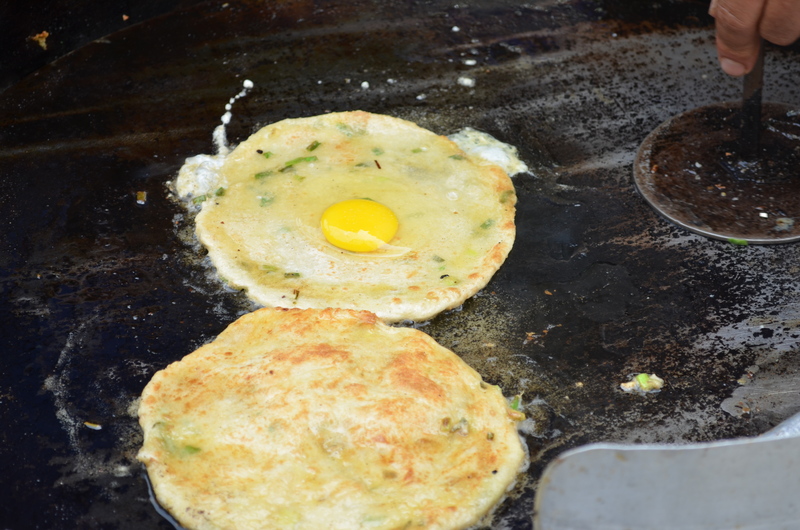 As part of an assignment for Cityweekend, I stopped at a few other scallion pancake vendors throughout the city to sample their wares. Tough job, but somebody’s got to do it. 1. 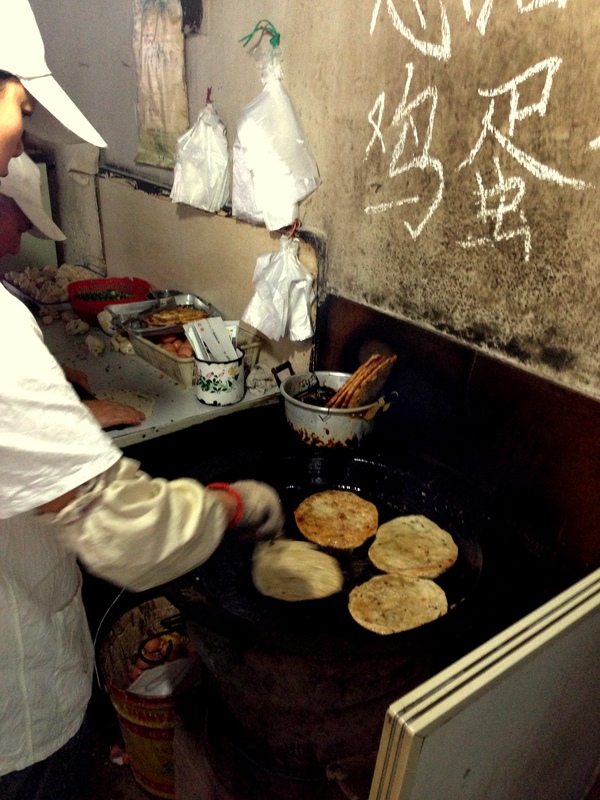 When I chatted with the guy behind the cart at Da Ge Zi, he was very proud of the fact that he’d been making scallion pancakes for as long as he’d been. “Twenty-some years,” he said. Apparently a video crew had been through recently to document his story, and my camera-happiness made him chatty. 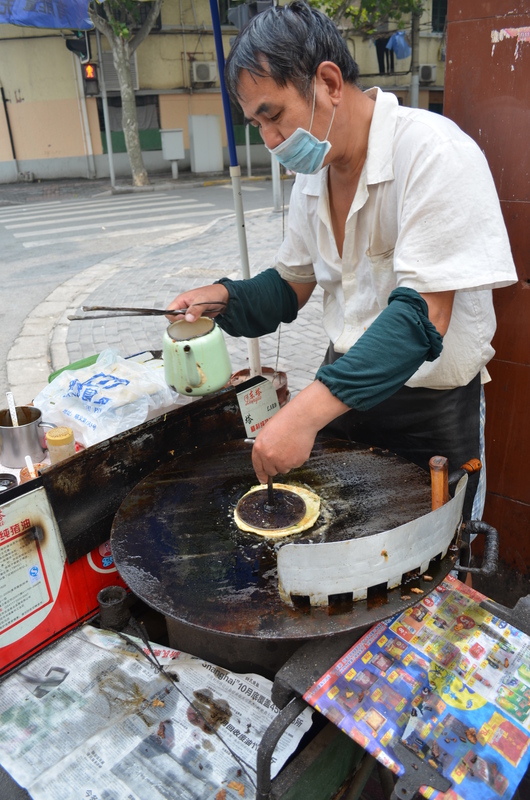 His bing was thin and crispy, and made entirely on the griddle (no shallow-frying). I got mine with egg, and a dash of salt and pepper. 2. 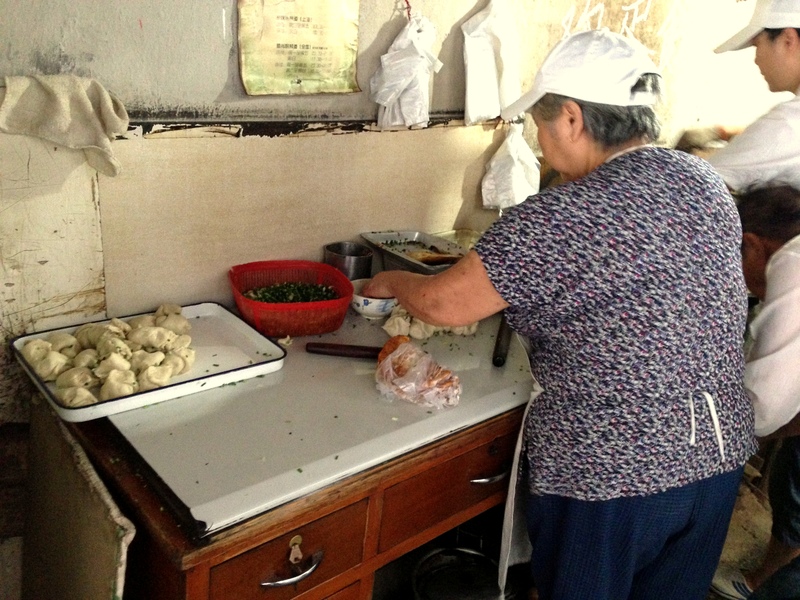 A Po only opens at 2pm, its three-person team serving up afternoon and dinner-time snacks. 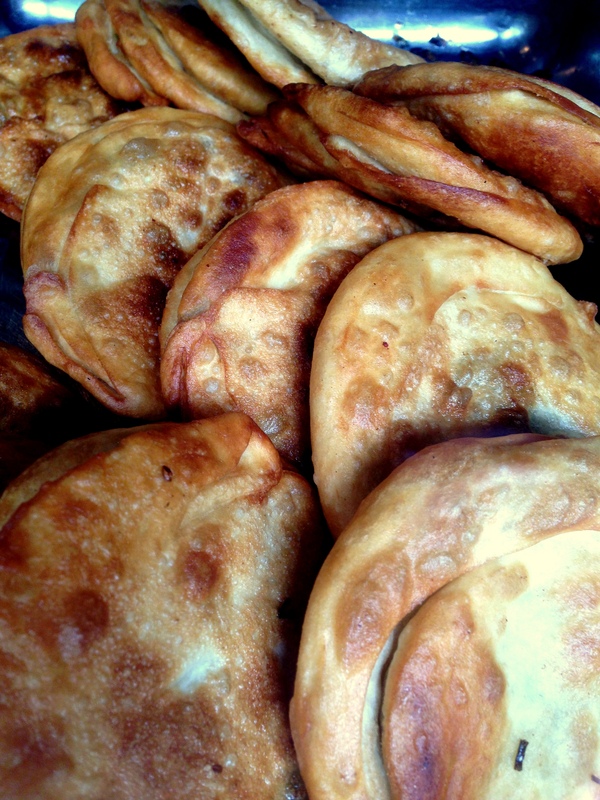 Thin and wide, A Po’s version is also shallow-fried, until it is nothing but pure salt and crunch. 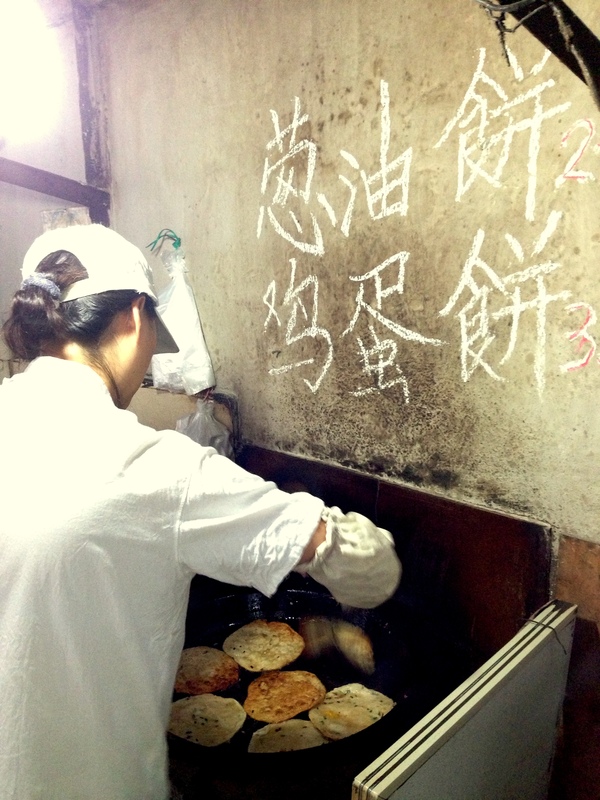 Get the pancakes plain (RMB2) or with an egg (鸡蛋饼, RMB3.5). We recommend both and wrapped together with a bit of chili sauce: a poor man’s mouthwatering mid-day sandwich. 3. The sometimes crisp, always greasy cousin of other streetside favorites, seems to have fallen into obscurity these days, nothing more than an oily vehicle for eggs and fake bacon. 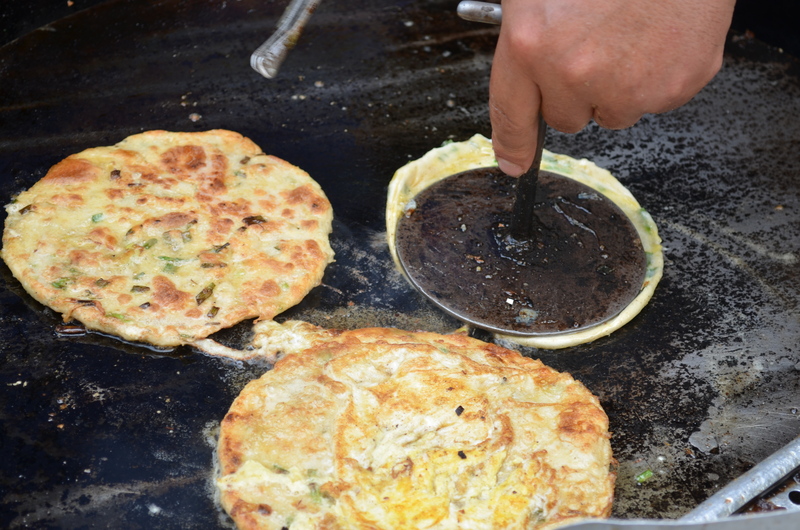 But for relatively hassle-free scallion pancake goodness, I’d recommend Mushi Special Scallion Pancake. This chain of tiny shops shallow-fries batches of bing in flat, cast-iron cauldrons of hot oil until golden. 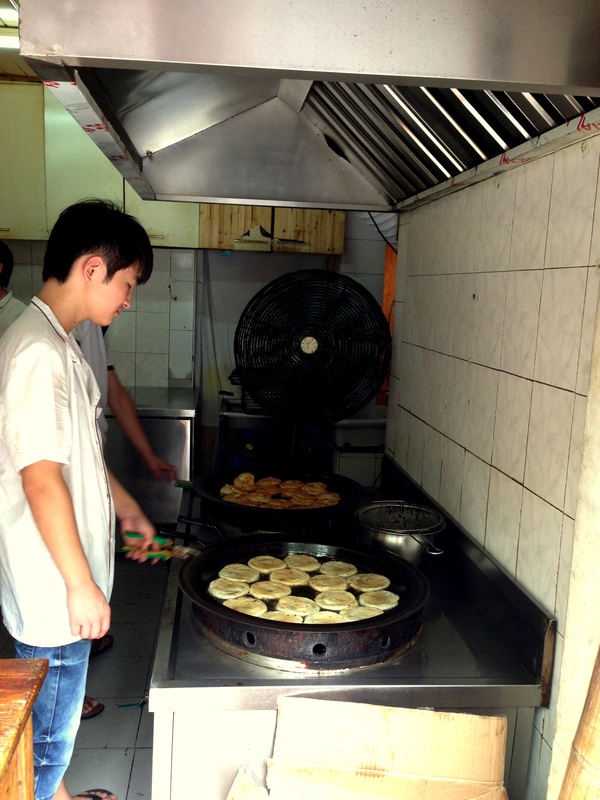 Mushi’s pancakes (RMB2) aren’t nearly as refined as A Da’s, but they are still quite aromatic and savory, especially when munched hot from the frying pan.